Right now I have the instrument pod out to replace an odometer gear and I thought I might try to fix the voltmeter. I was going to try cleaning as many contacts as I can get to. Any more suggestions would be appreciated. Also, is the needle supposed to be moveable? All the other needles can be moved by a little finger pressure, but this one seems stuck. Thanks for your help. Actually there is a pot adjustment on the side of the volt meter. What I did was temporarily reconnect the pod, hooked a voltmeter at the battery ( or use the jump post) to a ground, started the car and adjusted the volts. Did that a couple of weeks back and been very happy since. Today I drove to work. No problem. After I started the car to go home, I noticed that the ammeter went to zero, but the car continued to function fine. It would not move a bit. When I arrived home and turned the car off, I observed no movement in the needle, but I did notice the red light go on underneath. Any ideas on where I should look tomorrow for the problem? 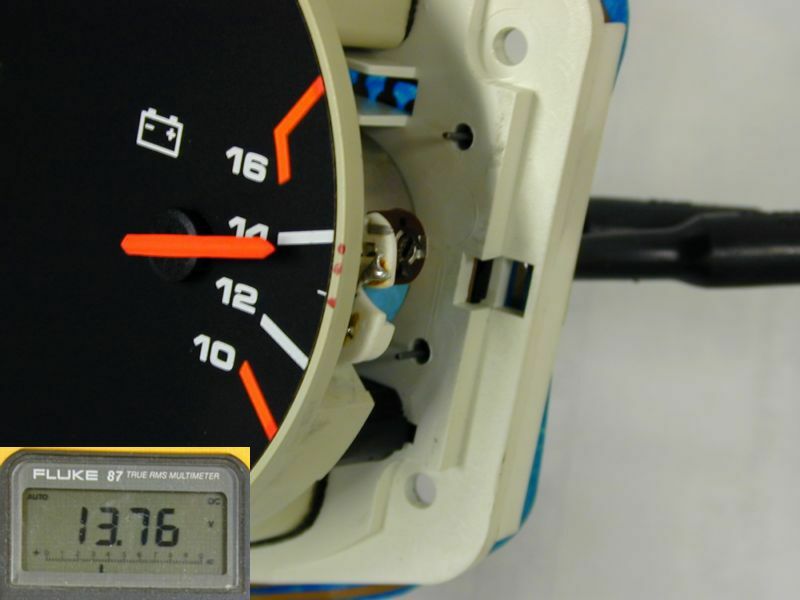 First - the gauge on the instrument panel is a voltmeter, not an ammeter - the difference is critical. The voltage on your 928 should never be zero as long as there is a live battery in the car. It should show battery voltage, or charging voltage. 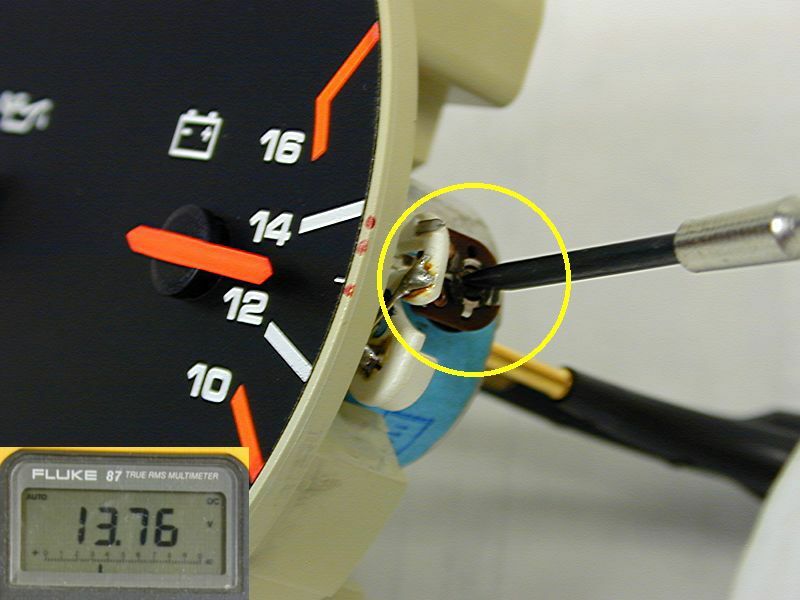 If the voltmeter goes to zero, and the car still functions, there is a gauge problem. One common problem is in the printed circuit board that connects the instruments. On the other hand, if the voltmeter reads battery voltage and no charging voltage, there may be a problem with the alternator. The charging light is actually separate from the voltmeter. The light and a 68 Ohm resistor are connected in parallel to supply the excitation current to the alternator. A light that is on with the ignition switch off is often a sign of a bad diode in the alternator. You can pull the alternator and take it to a good automotive electrical shop for testing and repair.